It was a regular, nothing special kind of Wednesday but I thought it was a good day to take my wife out to a nice dinner. Pasta sounded like an excellent choice, so we decided on Buca di Beppo's in Dana Park, just south of HWY 60 on Val Vista in Mesa. We've eaten there twice before and enjoyed both visits. According to our attentive server, "Buca di Beppo" roughly means, "Joe's Basement". And if that's the case, then ol' Joe loved to eat because the portions at Buca come in two sizes: big and really big. You may need wheel barrow valet service out to your car afterward if you try to be part of the clean plate club. 2 average diners will have to plan their strategy and work together just to finish one of the small portions. They'll likely need a to go box with any large one. Which certainly isn't a bad thing. These left overs will be fantastic! Buca is wall to wall fun and flair. Pictures and memorabilia cover the red walls of the many rooms and serve up a feast for the eyes. "Fun" is a the first word that comes to my mind to describe Buca's decor. Half of the reason to come back is the atmosphere and friendly service. The other reason is of course the good Italian food. I'm using the word "good" on purpose. I want to say that everything at Buca's is great, but I can't say that honestly. What I can say is that the portions are great, and many dishes are great, but some are not as flavorful as you'd think. Case in point: I ordered the Bucatini Ala Enzo last night mainly because of the picture I saw on Buca's colorful and engaging website. The picture is much more visually appetizing than what arrived at our table. The noodles were bigger than what I expected and the dish was much dryer. I like sauce, olive oil, garlic butter, etc., on my pasta. There appears to be some in the picture to the left here...but there wasn't any that I noticed last night in real life. When I mentioned this to our server, he brought out a white cream sauce that I poured over the dish and that helped. I plan to create my own garlic oil-butter combo for the remaining pasta I took home. My wife's lasagna was "melt-in-your-mouth" delicious. She loved it! So even if my dish was a bit disappointing, her's was a home run, which best describes our overall experience at Buca. One dish is okay while the other is "Honey, I've died and gone to heaven!" We've been impressed with Buca and will be going back and trying different things for sure. The worst case scenario is that if you order something you're not crazy about right then, when you dig in to the left overs the next day, adding a little something it needs, it will be fabulous. I also recommend signing up for Buca's eClub so you can get offers and deals which can be significant. We saved $10 on our order because of an e-coupon. Stop by Joe's Basement or Buca di Beppo the next time you're hungry for lively atmosphere and lots of fine Italian food. And visit them online now: BucaDiBeppo.com. Save Money At The Pump When You Dine Out! Join Fuel Rewards Network! You never know exactly when it's going to hit, but it is inevitable: The sudden need for a really good hamburger. I don't mean the occasional "I'm hungry, what should I have for lunch?" kind of feeling. I'm talking about a craving that overrides every other food alternative in your head - even if you have a stack of 50% off coupons for Tacos-R-Us. It's not the same. You can sense a disturbance in your own personal force and you must have a burger no matter what. That happened to me today. I wanted - no needed - a burger! And good French Fries. I'm tearing up just writing this. I live and work near several great burger restaurants here in the East Valley. Since I was going to be on Baseline around 10:30 this morning, I chose Freddy's Frozen Custard & Steakburgers near Gilbert Rd. and Baseline in Gilbert, AZ. I've eaten at Freddy's before and knew what to expect. I'm always impressed with the clean, family oriented atmosphere and courteous service. Today was no exception. The staff was very friendly and the place was immaculate. I ordered the Double Steakburger Combo, properly decorated with mayo, ketchup, grilled onions, and jalapenos. I asked for the fries to be extra crispy, and for some onion rings to go with it all. In mere minutes, the above photo shows what landed in front of me. Yum-O-Lah!!! That's my version of yodeling. I refuse to believe you're not jealous, so just admit it and we'll continue. Freddy's Steakburgers are full of flavor and can be customized just about any way you want them. The tasty fries are more of the shoestring variety and there's plenty of them. The onion rings are another winner. Be sure to try their French Fry sauce that resembles Thousand Island dressing and goes well with onion rings or burgers. Today's excellent lunch came to just over $7.00 and was worth every penny! Having both fries and rings made it a well balanced meal and therefore as nutritious as it was emotionally uplifting. The bottomless soda added just enough sweet to compliment the savory. I can honestly say I'm a better person because of this experience. Meat & potatoes can work miracles! So if you get hit with that overpowering need for a good burger and a side of crispy potato or onion goodness, and you're in Gilbert, AZ check out Freddy's Frozen Custard & Steakburgers. See if you become a better person too, and leave a comment below after your diagnosis. Good Luck! Today I checked out a local Chick-Fil-A in Chandler, Arizona. I hear these restaurants have been busier than usual lately, but you know that already. Dan Cathy, Christian businessman and President of Chick-Fil-A merely stated his beliefs about biblical marriage and a firestorm erupts. It's great to live in America, isn't it? Gotta love that whole tolerance thing. Anyway, I visited the chicken restaurant today in support of free-enterprise, freedom of speech, and because it was about lunch time. I ordered the Chicken Strips Meal, well done waffle fries and a peach shake. Very good stuff! The restaurant was clean, the staff was professional and my lunch was delivered to my table with a smile. “Guilty as charged,”, Cathy said when asked about his company’s support of the traditional family unit as opposed to gay marriage. That's it folks. That's all it took to send some people over the edge. Sounds so hateful, doesn't it? Incendiary? So bigoted? Wow. Chick-Fil-A is a nice fast food restaurant that is well worth any visit for breakfast, lunch or dinner. I recommend their food and their atmosphere, which includes free wi-fi. BREAKING NEWS: Look who else is supporting free speech and standing up for what one believes: Many Wendy's Restaurant Franchise Owners. That's a class act! Way to go Wendy's! Read more about this here! Speaking of politics and Chick-Fil-A, Ted Cruz, Texas Tea Party Candidate for US Senate, defeated his GOP rival David Dewhurst and won his primary. Guess what he served at his victory party? Cluck, Cluck, Cluck, you guessed it! Chick-Fil-A. Read more about that here. At the time of my writing the TV news is really dragging their feet on this story. Very few "news" outlets are carrying this nearly spontaneous outpouring of public support for a man who exercises his right to express his believes. See other business owners and executives who stand in agreement with Chick-Fil-A! Visit Chick-Fil-A today if you can! Send a message to the country, the media and your taste buds all in one visit! Every restaurant needs a website - no ifs, ands or buts. Hungry locals go online every single day looking for good Chinese, Italian, or Mexican restaurants, gourmet burger and hot dog places, gluten-free eateries, or delis who deliver. These restaurants get found because they have a web presence that includes a website, a Google Places listing with reviews, as well as other reviews from diners. Restaurants that don't have these simple elements in place are missing out on business. Period! Websites for restaurants don't have to be crazy expensive or difficult to set up. Weebly, an online website design program, is very affordable and so easy to set up, a busy restaurant owner can do it up themselves, or delegate it out to a employee while maintaining control and security. And because it's an online program, restaurant websites can even be updated away from the restaurant from any computer with an internet connection. Weebly can be an all-in-one website solution for a restaurant. Register a customized domain, design and host all through Weebly and all at an affordable price. How easy is Weebly to use for restaurant websites? Watch a short video tutorial on our Weebly Websites page and judge for yourself. Most restaurant owners know they need a website. What they don't know is where to start or who they can trust. Let the Arizona Video Company help you build a website for your restaurant that you can control and afford. 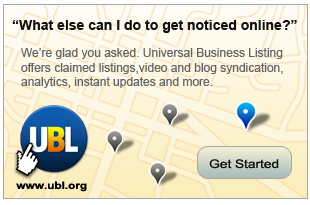 Then we'll help you get found online with SEO services, blog posts and video production. Keep this in mind about building a web presence: It Takes Time! Getting found online isn't like the Yellow Pages where a listing is purchased and it's done for the year. It's quite the opposite! Showing up in search engine results takes keyword research, claiming a domain, building a website, claiming free listings on the major search engines, then getting reviews, posting to blogs, etc., If a business owner will work on these elements, or hire it out, it may take 90 days to start seeing results. It will not happen over night! But every day it's pushed aside is one more day customers are going elsewhere. The Arizona Video Company can build Weebly websites for restaurants that will attract local customers who are looking for great local restaurants. Contact us today!